When we were ready, we were taken downstairs to the caves where we were given a safety briefing and an introduction to the room’s story. It’s worth saying here, I’m 6”2’ and one of my teammates hates confined spaces and neither of us had any difficulty in the caves if that’s something you’re apprehensive about. The story of the game is basically a quest to kill Dracula – which I was very intrigued to find out how they’d gone about doing this final action. I’m not going to talk in detail about each of the spaces as I think I’d give away too much of the story. What I will say is that you find yourself journeying through multiple spaces during the game, each feeling distinctly different. With their choice of furnishing, subtle sound effects in the background and the still atmosphere of the caves, each space felt amazingly immersive and gave the game a very real sense of adventure. We found that for every puzzle, there was really clear signposting and clues in the room that nudged you in the right direction without feeling overly obvious or escape roomish (if you know what I mean). 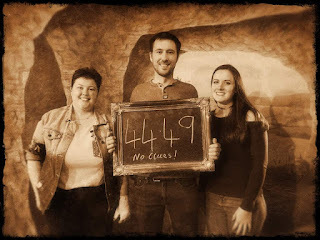 There were some really clever hidden spaces involved in solving some of the puzzles – one of which caught us out for a while and probably added the greatest amount of time onto our game. I then stupidly forgot about something I’d seen earlier when attempting to solve one of the puzzles. The finale of the game is beautifully executed. You find yourself in an extremely realistic candle lit space as you finally reach Dracula. There’s a lovely smooth flowing sequence of puzzles that brings you face to face with him to complete the game’s final action and destroy him. 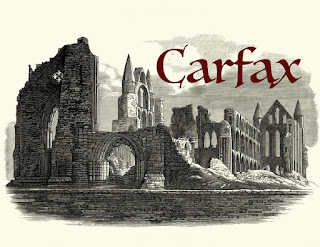 As you can probably tell from the review, we absolutely loved Carfax. They’ve created a simply designed, immersive set with great storytelling that slowly reveals more and more as you work through the game. Everything felt logical, with great signposting throughout. It didn’t feel like an escape room, it felt more like an immersive story. We managed to escape with no clues at all and made our way to number 3 on their ‘no clues escape’ leaderboard which felt quite satisfying. A highly recommended game for all! Overall This game’s unique selling point is that it’s set in a cave – but that’s not why it’s a fantastic game. Carfax has a wonderfully immersive and minimalist set that beautifully unveils the games story. A brilliant game. Difficulty They’ve done a really good job of cleverly weaving clues and hints into the room itself with good signposting. It’s a very achievable room that we completed with no clues. Fun It’s an incredibly fun room. For me, the most fun element was how it told its story in the form of letters that you discovered as you progressed. Puzzles The puzzles in this room are clever and well suited to the theming of the room. None of them are big in-your-face puzzles, they subtly blend in with the room and feel very realistic. Immersion When you look at the furnishing in the spaces, it is very simple. But somehow, the simple furnishing combined with the caves make it feel like an incredibly immersive space. Surprises There’s some lovely surprise moments in the game that really do take your breath away – particularly discovering and entering the final space of the game.